Russia's Oscar-winning director has been awarded for his lifetime contribution to the art of cinema. 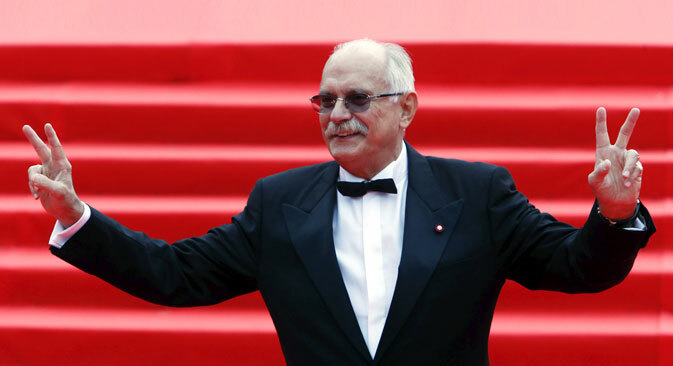 Russia's Oscar-winning director Nikita Mikhalkov has been awarded the Boccalino d'Oro Independent Critics' Award at the Locarno International Film Festival in Switzerland for his lifetime contribution to the art of cinema. Unable to accept the award in person, the director expressed his appreciation in a statement. In a letter to the director, the festival organizers said the independent critics present at the event “made a unanimous decision” to award him the Boccalino d'Oro special prize to honor his lifetime achievement, Mikhalkov's press service said. The Locarno International Film Festival is focused on independent cinema, searching for new names in the art. Numerous Russian directors – including Alexey German, Kira Muratova, Alexander Sokurov and Alexey Mizgirev, among others – have been honored by the festival in the past.